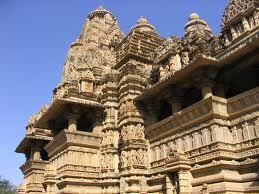 · World’s first university was built right here in India. The University of Nalanda in Takshila was established in 700 BC and is often termed as one of the biggest achievements of ancient India in the field of education. Students from all over the world came here to study courses in more than 60 subjects. · Indian medicine history shows usage of anesthesia from ancient times. Many ancient Indian texts give detailed account of the knowledge the ancient medical practitioners had of embryology, anatomy, metabolism, digestion, etiology, immunity and genetics. · Ayurveda enjoys the distinction of being the earliest known school of medicine known to mankind. It was actually consolidated by Charaka, also known as Father of Medicine, over 2500 years ago. · Your favorite board game, Snakes and Ladders, was created in this country by a 13th century poet Gyandev. Originally known as ‘Mokshpat’ and played with dices and cowrie shells, the ladders and snakes were a way of indicating virtues and vices that happen in a person’s life. The game was a way of showing that good deeds are a way of taking a man up in his life while the snakes indicated the evil that takes a man through the cycle of rebirths. · One of the greatest contributions of India to western philosophy is grammar. Composed by Panini, the world had its first formal grammar lesson between 750 and 800 BC through his Astadhayi. 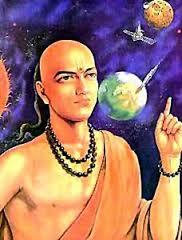 · It was Bhaskaracharya who calculated the exact time taken by Earth to orbit sun hundreds of years before the famed astronomer Smart. He gave the time to be 365.258756484, later confirmed by Smart. · It was recently proved by USA base IEEE organization that it was Prof Jagdish Bose and not Marconi who pioneered the wireless communication. · Surgery was an intimate part of Indian Medicine. In fact, Sushruta is termed as father of surgery as even 2600 years ago he was performing complicated procedures of brain surgery, plastic surgery, artificial limbs, cataract, caesareans, and urinary stones along with his fellow scientists. Over 125 surgical instruments were found to be used by them for these procedures. · Sanskrit is said to be the mother of all European languages. In fact, according to a Forbes magazine report, it is the most suitable language that can be used to design a computer software.